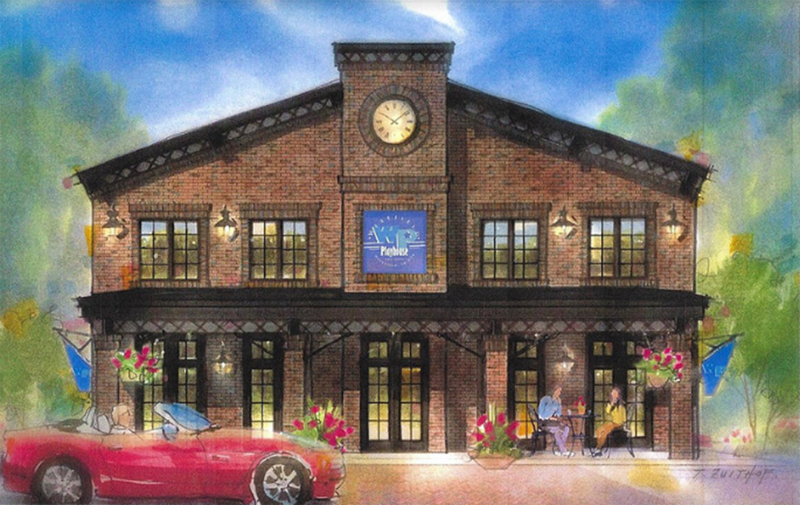 Main Street Productions recently presented plans to the Downtown Westfield Association to build a new Wesftfield Playhouse on a vacant property owned by the city in downtown Westfield at 202 N. Union St. The DWA expressed support, and construction is expected to begin in May. The original playhouse, 1836 Ind. 32 West, opened in 2002. Since 2002, Main Street Productions, which was established the same year, has put on more than 70 performances. Main Street Productions works with the City of Westfield on several programs, such as the Voices from the Past, Follow the Drinking Gourd and more. Main Street Productions Board President John Sampson expects the move to downtown Westfield will expand upon those events. “By coming downtown, we are enhancing the city’s cultural events. We will be working with the city in all of those and keeping arts alive in downtown Westfield,” Sampson said. “We have wonderful sports activity which is taking a lot of time and thought, but to keep the arts alive will maintain the sensitivity for everyone and give them something to do when not doing sports. The new playhouse is expected to be open in September or October. A capital campaign is ongoing, with a goal of $250,000. So far, $150,000 has been raised. Several fundraisers will take place prior to the opening, but details have yet to be released. “I think the businesses will thrive even more so because with all the restaurants we have downtown and those coming in all the time, we can only be an additional draw to them, so folks can go to dinner and then to the theater, or vice versa,” Sampson said. Sampson also expects the new playhouse to produce more musicals and educational opportunities for local students.